So this has to go down as one of my favorite concepts in a long time. 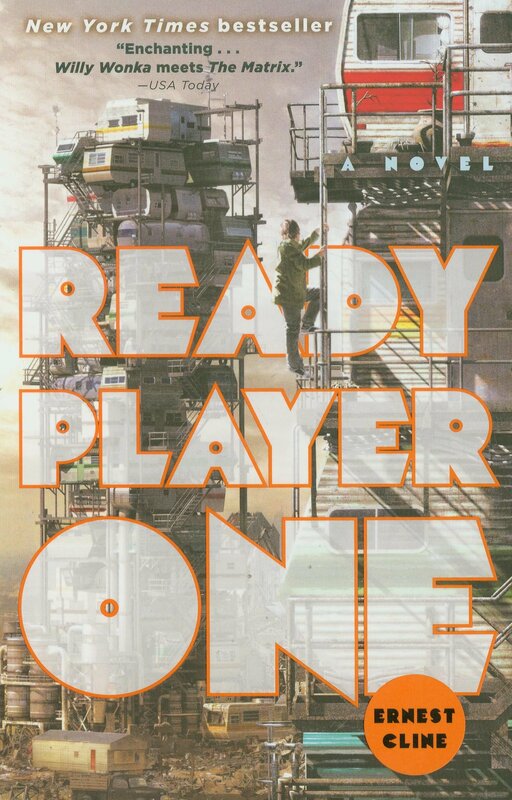 Cline sets his book in the not-so-distant future, and naturally, a video game has consumed the world. Players log into the Oasis, a simulated MMORPG that has become as central to living as, well, living. The inventor of the Oasis, James Halladay, has offered his billion-dollar inheritance to the first one who can find a secret egg programmed into the game. Our main character, and hundreds of others, are on the hunt, parsing out clues and riddles that center on 80’s trivia. Amazing concept, but I couldn’t make myself love the book as much as I wanted to love it. The writing chops are struggle. We’re very rarely given actual scenes. Rather, huge summations happen in which the author is telling us what’s unfolding (or has unfolded). Too often, I found myself skipping pages, and that’s not something I do. On concept alone, it was fascinating… but the execution had me ready to move on to the next book. First, take a look at that gorgeous cover. Seriously stunning. So I’d read Polansky’s stuff before, and loved all of it. He’s pretty masterful when it comes to gritty worlds and characters and happenings. But The Builders is something of a master’s class. It’s a novella, so by the time you’ve fallen in love with the characters and the story, it’s nearing it’s end… but you don’t mind. The narration is so peculiar and sharp that a longer form might not have suited it well. Using quick, snapshot chapters, Polansky gives you the time you need with each character; no more, no less. As always, the phrasing is relentless, the palette is generously grey, and the dialogue borders on minimalist perfection. 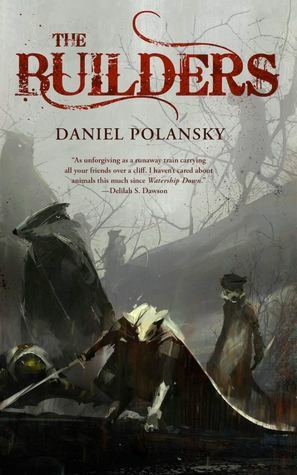 On top of all of that, Polansky offers us a new crew of anthropomorphic creatures to fall in love with (or to pity, or to fear?) that rival our affections for the creatures in books like Redwall and Watership Down. I’ll be reading this one again soon. 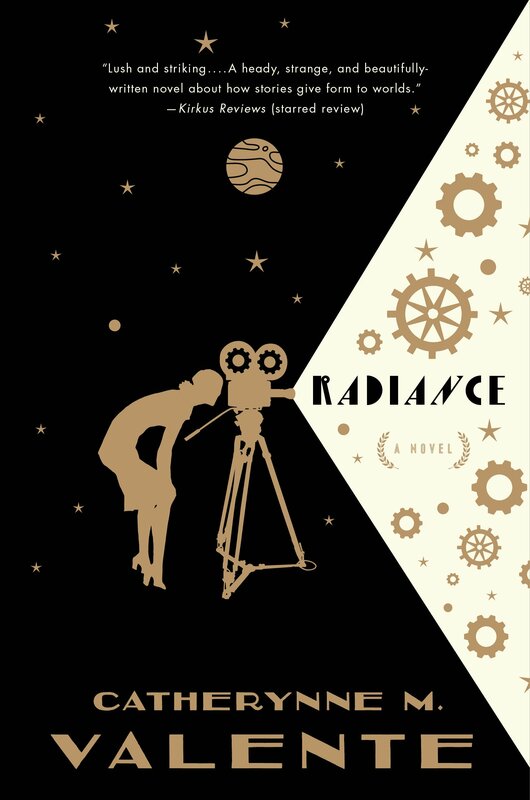 Last but certainly not least is Radiance. What a marvelous work. I first read Valente’s Fairyland series. It is one of the most pleasant, whimsical stories that I’ve ever encountered. After years of slugging through Red Weddings and other grimdark coups, I needed some whimsy. So when I saw the premise and the plot for Radiance, I knew I’d love it. I was right… I won’t give away anything about the book, but just know that Valente is playing with form and style and fourth walls again, but with the pristine hand of an artisan. The prologue that vaunts the prologue? Genius. Some of the passages, phrasings, and characterizations are just so off the charts good that I find myself thumbing back through paragraphs, and mouthing sentences aloud. If you’re up for some of the most beautiful and most funky writing you could ever imagine, this is the book for you.